Name: LaGrange Lions Club Field Day- Join the HYPE team! 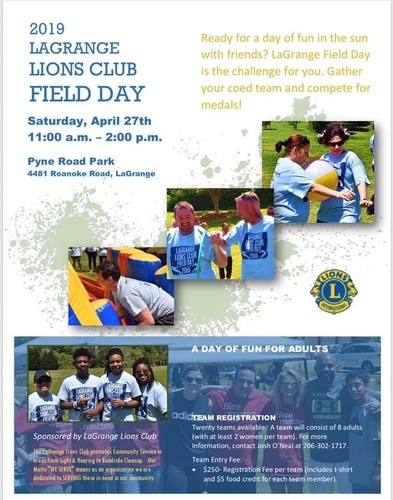 Join HYPE on Saturday, April 27 for the LaGrange Lions Club Adult Field Day! With teams consisting of 8 adults (at least 2 women), events may include: tug-of-war, three-legged race, sack race, obstacle course, etc. SO FUN!!! Field Day was a favorite growing up, so don't miss your chance to have fun and support great cause!